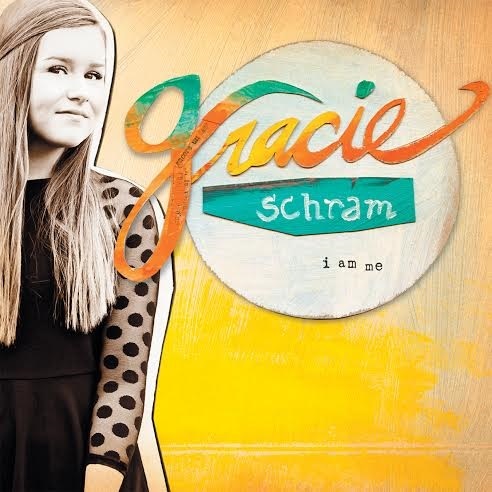 The first (and only time) I heard Gracie Schram, she was about 12 years old. She was singing at the United Methodist national youth conference, Youth 2011. At 10, she had recorded a CD and donated the proceeds to charity in Haiti. She was quite remarkable. And surprisingly unassuming. Since then she's performed at SXSW, given a TED talk, and shopped for a prom dress. She's still using her music to support great causes, including Nieman Marcus's Make Some Noise and Children International. So when I found a couple of songs from i am me on NoiseTrade, I was curious to see how she's grown as a musician. It's easy to tell how Ingrid Michealson has influenced Gracie Schram — she says so on her blog and talks about the thrill of opening for Michealson — but she brings her own songwriting and a certain sweetness to her music that is all her own. "Before I Fall" is a heartfelt look at intimacy and fear, and Charlie Peacock has produced it to let her vocals shine. This song will take you back to high school or your first love or just the first time you really opened up to someone. Her voice is just right. "Yellow Shoes" is, quite simply, adorable. It's unapologetically happy. On her blog, Schram says the song was inspired by her favorite pair of shoes, which really are yellow. We can forgive Schram for being on top of the world and not admitting any gray. The song is a snapshot, which becomes obvious if you listen to other tracks on the album, which is available on iTunes and elsewhere. There are other tracks on the album that are decidedly Christian, but these two appeal to anyone who is young or wants to remember what it was like. You can listen to the full tracks here, and you can download them if you give NoiseTrade your email address. You're also free to give a tip. When I heard about Alchemists, I was excited. I love deduction, and I've been wanting a good deduction game that doesn't involve hidden movement — which I think is a great mechanism even though I'm terrible at it — or that wasn't ... well ... Clue. Enter Alchemists, a two- to four-player game for ages 13 and up by designer Matúš Kotry. It's illustrated by David Cochard with additional art by Jakub Politzer. The game is from Czech Games Edition and retails for $59.95 but can be found for nearly $20 less. I'm keeping this very brief because there's so much going on in Alchemists that I can't possibly cover it all. You play an alchemist mixing alchemicals to figure out their formulae. Each alchemical has attributes in three colors: red, green, and blue. Each color is either a large or small circle, and each circle has either a plus or minus in it. When you "mix" two alchemicals, you take a picture of their two cards with your smartphone or tablet via the game's app, and it gives you the color and positive or negative sign the mix has produced, though it does not reveal the size. You have a deduction pad and screen in front of you that helps you keep track of your mixes and their results. To experiment and do anything else, you have six moves per turn (except the first turn). You can collect ingredients, turn an ingredient to gold, buy an artifact that can help you throughout the game, sell a potion to an adventurer (hoping it's good enough to get you some money and not ruin your reputation), publish a theory, debunk someone else's theory, test a potion on a student, or test it on yourself. You're trying to gain the best reputation of all the alchemists. Publishing enough theories lets you gain contracts, which gives you gold and more reputation. You can hedge your bets if you're unsure, or risk precious points on the theories you publish. This is one of the most creative and innovative games I've seen. The mix of deduction, bluffing, and worker placement will have you and your opponents scratching your heads for many plays to come. The art is beautiful and quirky, if a bit busy at times. This game is a tough logic puzzle reminiscent of the kind you buy in a newsprint-style magazine at the grocery store. Do they still sell those? Remember filling in all those X's and O's based on the little information you had? This game feels a lot like that. If you do well at this game, it will make you feel smart. 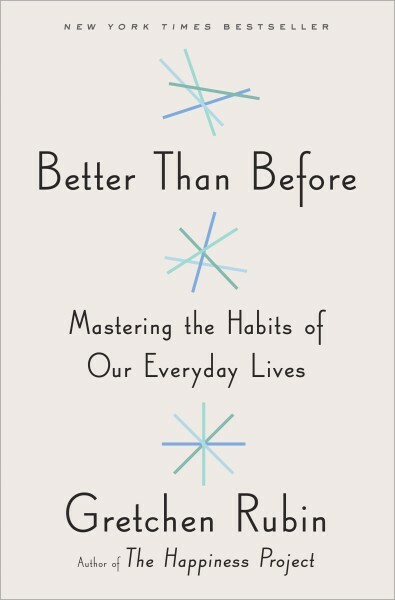 Because to do well (which I have never done), you have to be smart. Very smart. The app works surprisingly well. I don't want a board game that requires the use of electronics, and this one doesn't. But the app does speed things up. It's easy to use, and just gives you a formula. Not using it means one person sits out. Which I tried, and it works just as well. The theme is funny and really well integrated. You are, essentially, making fun of academia and the way theories get published and then debunked. The rulebook will make you laugh out loud. If you have a group that is patient enough to learn Alchemists and loves a really difficult but intriguing puzzle, this could be a very good choice. The lightheartedness of the theme doesn't translate to the gameplay very well because most of the time you'll be staring at your screen hoping you didn't make a mistake with where you put that positive blue circle (or whatever circle you have). That is to say, this is a game where you will be thinking every second, and one tiny mistake, like putting a circle token in the wrong place on your triangle, can cost you the game. If you like to be right, this game may frustrate you. It is as much about publishing theories you're unsure of so others will debunk them as it is about knowing what you're doing. This can make it feel like the deduction — which is what you'll spend a lot of effort on — doesn't matter quite as much as you think it should. There's not much way to double-check your theories, other than testing the same ingredients over if you think you're wrong. And that's only if you can get hold of those ingredients again and want to waste them on doing the same thing twice. The game is fairly long — the box says two hours, but in your first few games it could take significantly longer — but you may not feel like you have enough time to do everything you want, since your choices are based on how many cubes you have available. The game is very hard to teach, and there are enough fussy rules and moving parts that it's not easy to learn, either. Don't even think about introducing this to people new to tabletop games. They'll be frustrated. I played this with four other people in a couple of configurations, and we all had very similar reactions. Alchemists feels like it has an identity crisis. It's part funny, satirical, lighthearted bluffing. And it's part serious deduction. The deduction takes over because you have to do it, but it's not always worth the effort you put in when you look at the score. We all felt it would take many more plays to feel comfortable with the game, and that it could be amazing if we got there. But we also thought most folks wouldn't give it that many chances. One of the biggest frustrations, and something that would have been easily fixable, is the triangle you keep in front of you. The colors of each alchemical run in only one direction, so finding the crossing of the two you mixed isn't easy on the eyes. Since you can't keep the cards once you mix them, you have no way of knowing when you've put your little circle at the wrong crossing. The triangle has two layers, so if colors had run the opposite direction on the bottom layer, you could have seen the intersections quite easily. Purple mushroom on top, brown toad on the bottom, for instance. At the end of the day, I think this is a really innovative game, and I think some people will like it a lot. I have mixed feelings about it, and I don't see it making it to our table much. I do look forward to new games from Matúš Kotry, however. He's taking old ideas and making them new, with a sense of humor. More, please. Full disclosure: I received a review copy of Alchemists from Czech Games Edition. I wasn't required to give a positive review, and I would never take a game if I was. These are my honest opinions. It's been awhile since I've tipped you off to some good, free (and perfectly legal) music. Needtobreathe has launched its Tour de Compadres, and, lucky for us, a sampler with two live tracks from themselves, as well as one each from Switchfoot, Drew Holcomb & the Neighbors, and Colony House. The EP starts and ends with needtobreathe. The first is "Wasteland" from the band's Live from the Woods at Fontanel album. It's an interesting choice for an opening track. It starts slow and steady, with the repeating refrain, "If God is on our side, then who can be against us?" It ends on an anthemic note, with a slight gospel feel. Perhaps just in case anyone is wondering if the band is leaving its Christian music roots. The track is raw and shows an edgier side to Bear Rinehart's always astounding vocals than some of the band's other tunes. This is a song for grown-ups. Switchfoot follows with "When We Come Alive." The band's signature style is there, but with a bit more pop laid over the top. It works. The guitars are still dark, and Jon Foreman sounds like, well, Jon Foreman. The song is a bit reminiscent of F.U.N., with its high choral vocals on top of the chorus. Drew Holcomb & the Neighbors add "Shine Like Lightning." This has a classic rock feel — complete with guys half-singing half-shouting "hey, hey" — with a slightly country edge. It is a danceable, but with strong lyrics. This is a hopeful party with hot guitar. "Keep On Keeping On" is Colony House's contribution. I hadn't heard of Colony House previously, though I'd listened to two of the band members' dad — Steven Curtis Chapman — for longer than I care to admit. This band is a good sign for the future of Christian music. The band doesn't bill itself as Christian, but with references to the devil, and an opening line, "Weaker brother, lift your eyes," the band's roots aren't hidden. The sound is original. It's definitely alternative rock with a not-so-subtle blues edge. Colony House has musical chops. The melody feels familiar, but the band toys with rhythm with good results. We'll be hearing more from Colony House in the future. "Wanted Man," needtobreathe's final track, feels like it should be the opening track. It was at the live show, in fact, and is a guaranteed crowd-pleaser. But this end is deliberate. This sampler is about the tour, and needtobreathe wants you to know its music has grown up, but you'll still have fun at a show. This is classic needtobreathe — a driving start, but backing the instruments off to let the vocals show. They come back in, of course, long enough to let the audience get some dancing in before easing back again. And then, when you're expecting an end, the song drifts into a slow reflection. It's beautiful. It pauses, and then you've got the guitars again, coupled with some heavy bass drums and the band singing the refrain together. No holds barred. This is a great sampler. But don't take my word for it. You can listen here, and download it for free. NoiseTrade will ask for your email, and you have the option to leave the artists a tip.